I went to Belgium for a crash-course in beer with an expert. Belgium is experiencing its biggest surge in popularity since Bloodsport first hit big screens... at least on the beer scene. Brewers all over the US are popping out their interpretations of saisons, farmhouse ales, wits, sours, and lambics, elevating the palates of drinkers all over. But how do you go from a fizzy-beer fanatic to a Belgian beer aficionado? 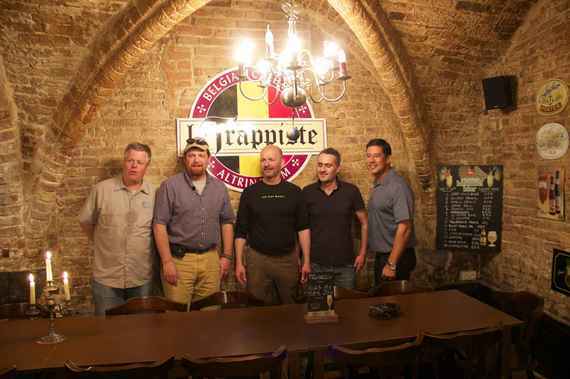 To find out, I went to Belgium for a crash-course in beer with an expert. Specifically, Blue Moon founder Keith Villa, the man behind America's most popular Belgian-inspired beer, which for many serves as an approachable gateway brew to the world of Belgian-style creations. Instead of souvenirs, I returned with this easy(ish) guide to leveling up your Belgian beer game. In an effort to get a better handle on Belgian beers, I followed Villa and his crew around Belgium as they researched new styles for their upcoming 20th anniversary brew, tagging along to breweries, ancient bars, canals, and landmarks with a belly full of beer and frites. A very, very big belly. 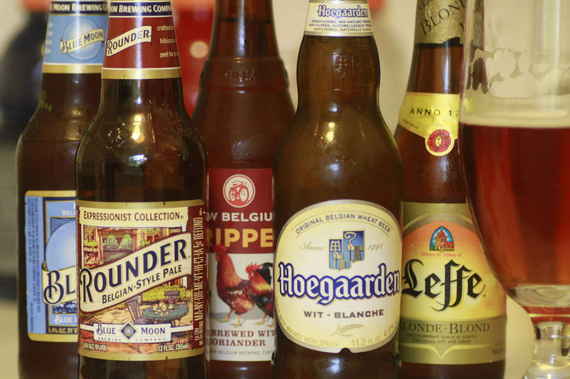 "Belgians rarely stay within the guardrails of specific beer styles. That's one of the things that makes the Belgian brewing process so great -- they create the beer, then decide what style it is. This could be part of the reason why you see so much variety and variances between each beer made in Belgium. So although hard to categorize, there are still some specific beers and styles to take note of for each craft beer drinking level." While some folks storm the castle and go full monk, for the casual drinker, it's unlikely they're going to simply decide they want to get into Belgian beer. But piquing your -- or your friends' -- tastes is as easy as rolling into your local craft bar and ordering whatever Belgian-inspired beer the locals are playing with. Or, you know, hitting the grocery store. Blue Moon and its myriad Belgian-inspired brews -- Farmhouse, pale, and Abbey ale among them -- are widely available, while fellow Colorado native New Belgium pops out a regular rotation of Belgian tripels, saisons, and others. Plus, you can score real Belgians like Hoegaarden, Leffe, and Stella Artois everywhere... which is to say, even the most pro-domestic drinker's probably gone Belgian (or Belgian-style) at least once or twice. Keith says: "Some other styles I'd recommend to beginners include Belgian pilsners -- which can be found just about everywhere as a nice introductory style -- and Belgian tafel beer, or "table beer", because of its light, delicate flavor, making it a good alternative to the Belgian-style wit." Now that your taste has been piqued, it's time to level-up to less familiar flavors. Luckily, it's extremely easy to seek out craft beer makers playing with complex Belgian styles. Your local breweries are likely pumping out saisons -- which are heavier and pack more fruit and spice -- and fruit sours, which straddle a line between wine and beer and pack enormous flavor. Those are the beers your hipster friend won't shut up about, so you shouldn't have any trouble finding them. You can also level-up by hitting the import section a little harder and seeking out stars like Delirium Tremens (golden ale), Duchesse de Bourgogne (Flanders red, it refers to a region of the country, not Ned), and Kriek lambics. Keith says: "Here is where I think we can start getting into more complex or unexpected flavor profiles. Some other styles I'd recommend to intermediates include Belgian fruit sours. 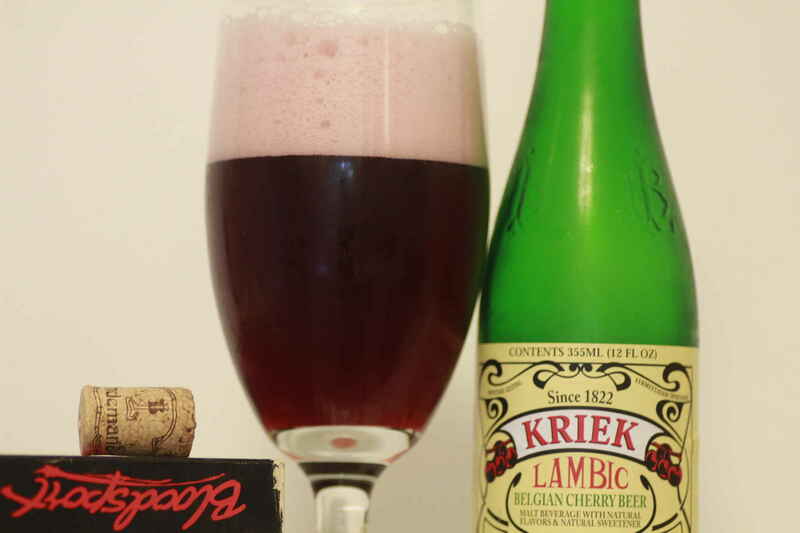 Specifically, Framboise -- it's sour with sweetness and filled with raspberry flavor -- and Kriek, which is sour with sweetness with cherry flavor. Also, the Belgian pale ale, similar to Blue Moon Rounder because of its complex, malty flavor with balancing hops." Do you think you have what it takes to become a belgian beer expert? Head to Thrillist.com for the full piece and find out!